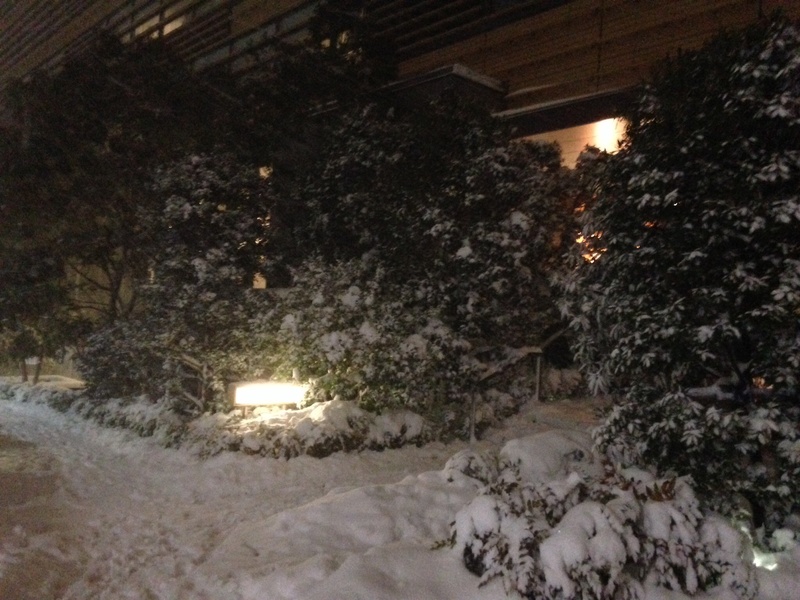 A few days ago there was a massive wave of snow that hit Tokyo. 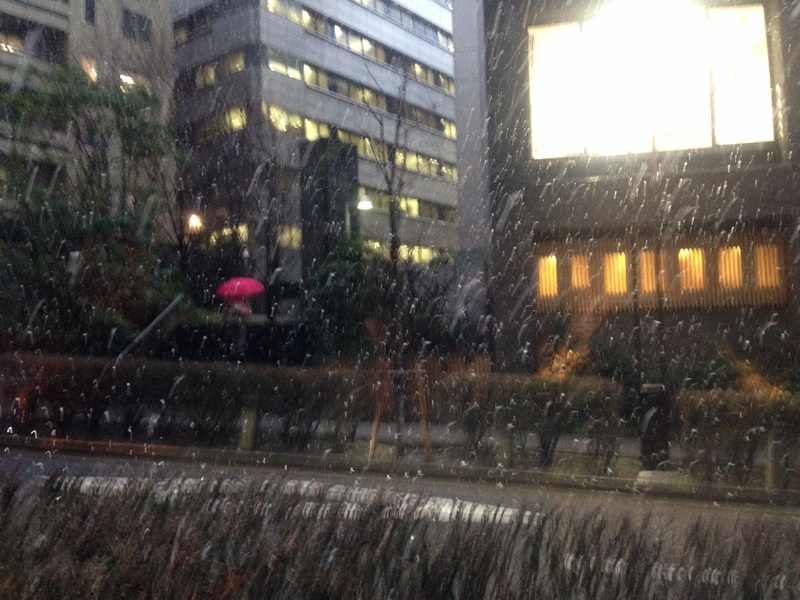 The snow was pretty big and it was starting to stick over by ASIJ but in Tokyo is melted almost as soon as it touched the ground. I knew there would be precipitation but I thought it would just stay as rain, or maybe a little bit of snow but I definitely didn’t expect this. On Saturday, there is supposed to be another snow storm even bigger than this one, the biggest in 10 years (or so I heard). The sport events that were planned for Saturday were canceled. I’m excited to see what happens. 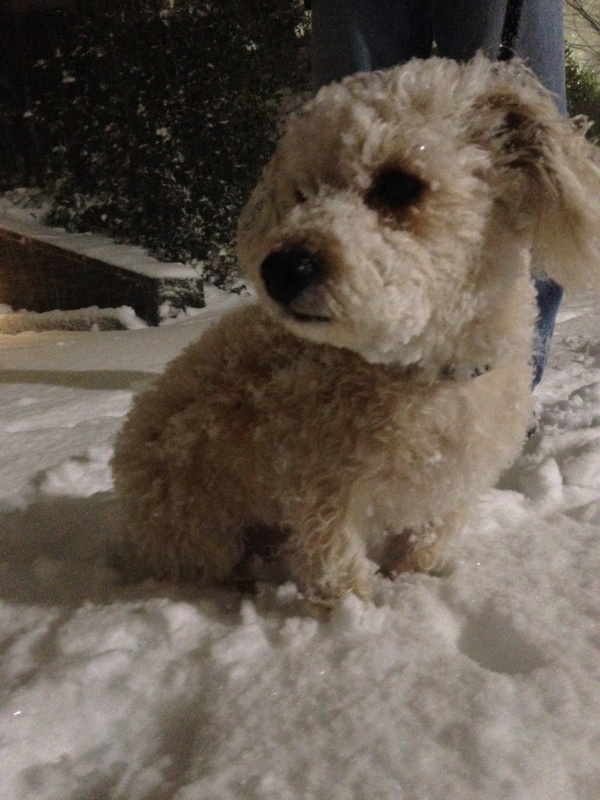 This entry was posted in general, meg on February 7, 2014 by jules453. Dominos is here in Japan and is one of our favorite pizza places. It does taste better than in the US, especially if you get one of their online special combos (pepperoni and jalepeno is outstanding! ), but the real treat is we can order online and in English (no assistance required!). 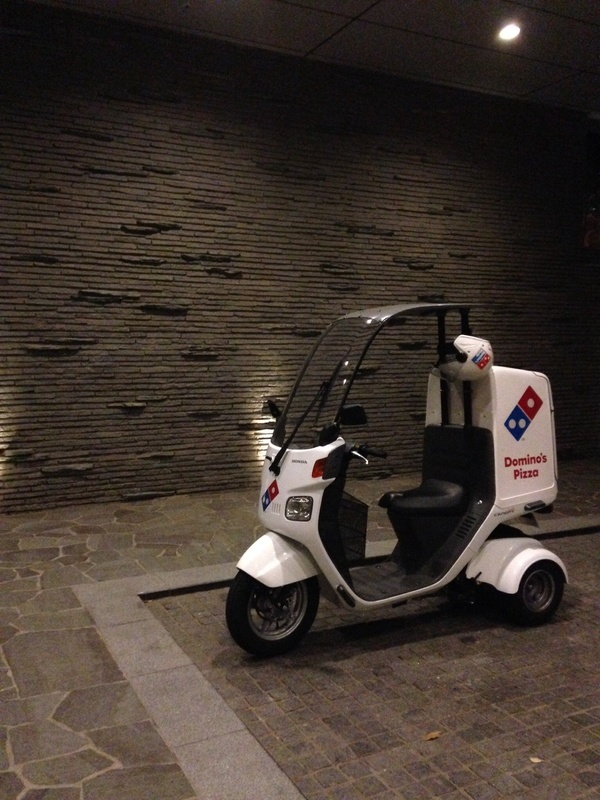 And the delivery guys bring the pizza on these little scooters. This entry was posted in food, general, julie on February 6, 2014 by jules453. I know we keep posting about snacks; but, you see, they just keep coming. 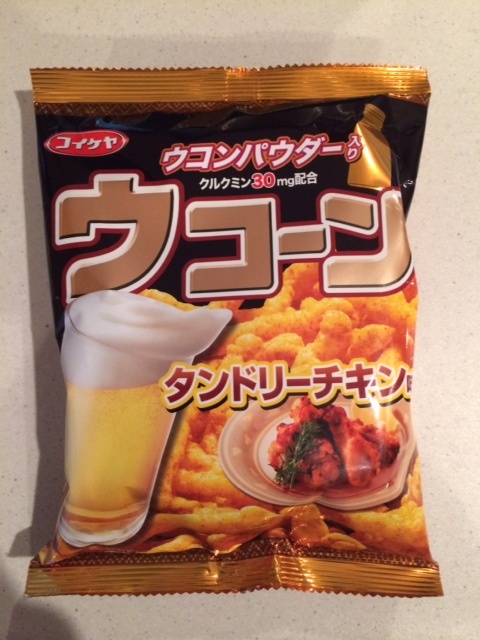 This time, the trip to the 7-11 resulted in the discovery of a new (at least to us) flavor of cheese puff snack. If we were in the US, it would likely be guessed that this flavor was in honor of the upcoming Super Bowl. But, the Super Bowl is a ‘non-event’ here in Japan and bazaar flavored snacks are common. This entry was posted in food, mike on February 2, 2014 by jules453. 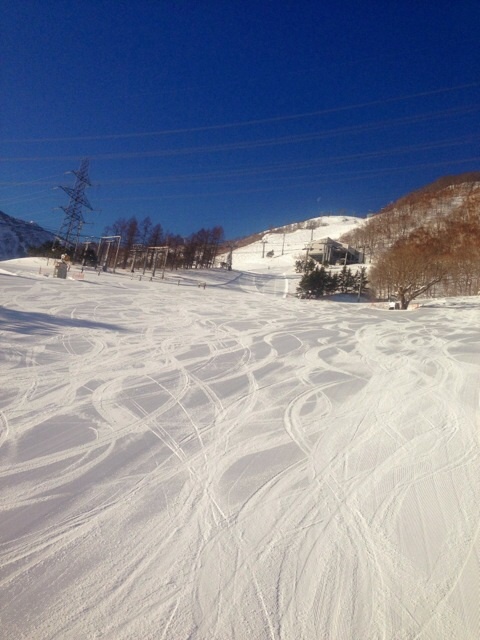 This is the mountain that we went skiing on. It has courses of all levels and difficulties. This trip was my first time skiing and by the end I could do intermediate courses with ease, I’m proud of how far I’ve come with skiing skills. On the first day we went snow shoring for about 3-4 hours. It was interesting to get to see nature all snowy but after a while, treading through a few feet of snow isn’t enjoyable. After the exhausting journey, we got our stuff and went ip to our rooms to change and get freshened up for dinner and night activities, the next few hours are uneventful, so I won’t tell you much about them. Dinner was good but it was mostly Japanese food and tasteless American food. For night activities we just played games and relaxed. The next morning was ski lessons, they live exactly up to their name. I took extra ski lessons in the afternoon because I wanted the extra assistance on learning how to ski. The extra help really made a difference because on the last day I was skiing on slopes that I never dreamed I could ski (mostly because up until the day before, I couldn’t). Some people who had signed up for extra lessons didn’t take them and they ended up falling a lot. For the whole trip I think I only fell about 12 or 13 times. 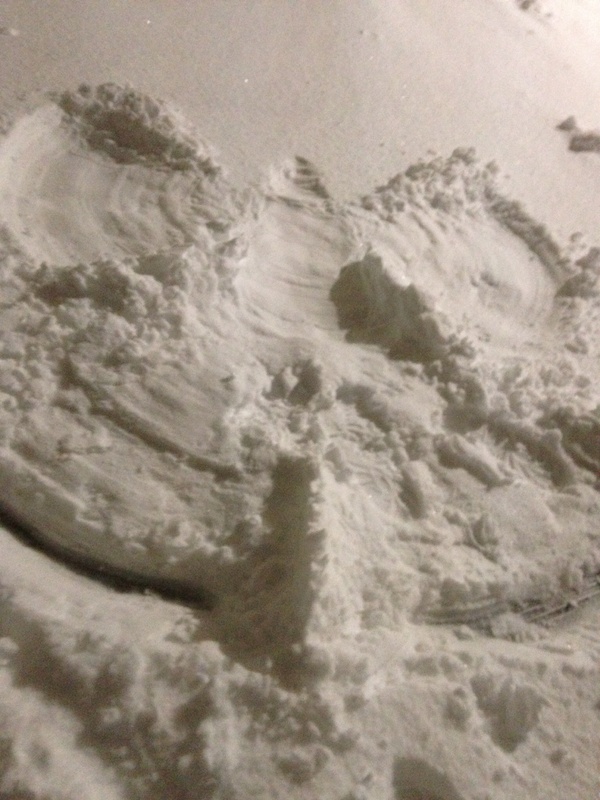 I enjoyed the ski trip but I was glad to go home. For not so important highlights, I built a snowman, was in a snowball fight and fell while trying to get off the ski lift. This entry was posted in meg on February 2, 2014 by jules453.